Every day I feel that I have to pinch myself to see whether I am dreaming or really going back to Rome! After the meeting at Boucke the other afternoon, I realize that this reality just keeps getting better and better. It was so exciting to see all of the students who are going to be joining us for this year's program. Imagine my delight when I opened the New York Time's this a.m. to find an article about Venice from the Frugal Traveler. Although the main point of this article was about travelling with a small family on a budget in Venice (and in the off-season), I still got a thrill from thinking about being back in Venice. I went when we had the five-day weekend open last year with my in-laws and kids. We took the train to Venice and stayed over night in the same hotel the students stayed in. It was great; it was near the train station and we were able to keep our luggage there the day we checked out while we walked and walked and walked around Venice. 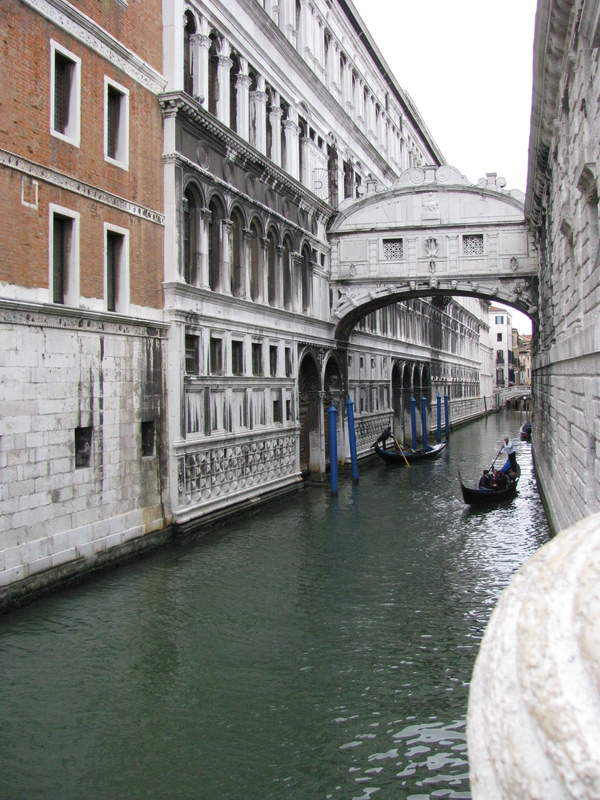 The pictures from the article remind me that it rained almost the entire time we were in Venice. When the students from last year's program were there, it rained as well and they even got to see some of the flooding of San Marco! Now that's a story to remember. I remember the rain and shops with loads of Venetian (Murrano) glass. We bought the cutest glass 'candy' to give to my daughter's friends and some other odds and ends. I realized then that I paid WAY too much for the earrings I got at the market in Pompeii. I had been so proud that I had haggled, but the students had been t oo kind to point out how badly I had been taken. Sigh. Anyway, I appreciate how this year's batch of students in helping me get into the spirit of Italy again. Not that it is taking much effort for that. I am recalling all of the wonderful places we went, sights we saw, and people we met. I think I'll write about our travel "angels" we met who helped us immensely in my next blog. This page contains a single entry by ROBIN YAURE published on March 1, 2009 9:28 AM. International Programs Fair was the previous entry in this blog. It's really going to happen! is the next entry in this blog.